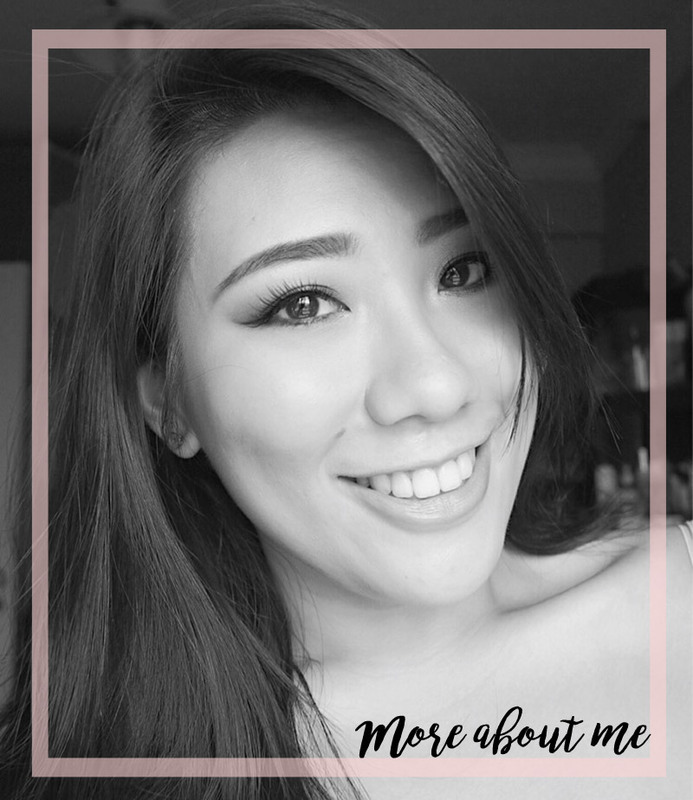 I have mentioned about COSINI skincare before, a skincare brand which has products formulated in Germany and its formulation utilising 100% natural ingredients and catering to the Asian market. To read more about this brand, you can check out my review of their Cos Paper Masque here. 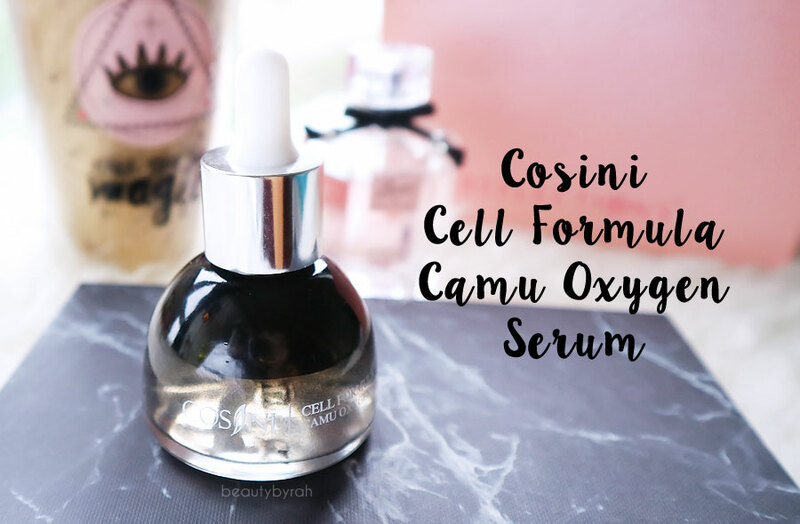 This Cell Formula Camu Oxygen Serum is said to help hydrate and brighten the skin, as well as minimise the appearance of dark spots and fine lines. Its main ingredient is camu extract, which is one of the world's most abundant sources of Vitamin C and this has about 60 times more Vitamin C than an orange! This serum also contains Grape Polyphenols and Beetroot extract, boasting a high level of anti-oxidant protection against them pesky free radicals. FYI, free radicals causes damages to our skin's DNA and exacerbates skin aging. This article is particularly nifty in explaining the whole theory, if you're interested. Through my own research, I found that antioxidants are said to help to combat the effect of aging, calm the skin, help to reveal a more youthful appearance and revitalise dull-looking skin and the use of topical antioxidants is gaining popularity in the beauty industry as many scientific studies have proved its effectiveness. However, the effects that we can achieve from topical application does depend on whether the antioxidant is stable in the product formulation as well as its concentration levels to make it effective without provoking skin irritation. Now, you might be thinking that I have answers to the requirements above, and sadly, I do not. I tried to google (who else can I turn to?) about the stability of camu extract and more, but unfortunately I was unable to find anything concrete. However, read on to see the effect of this serum on my skin. 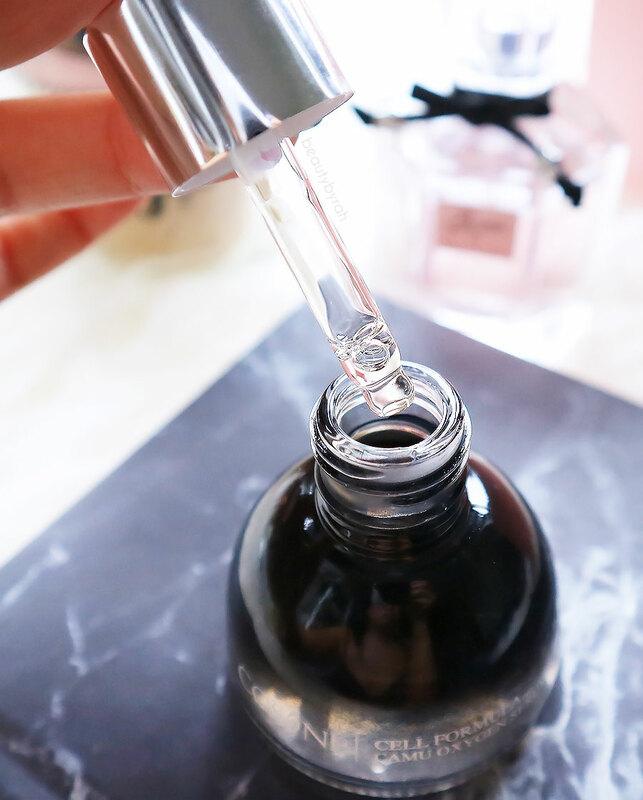 The packaging is pretty luxurious, with gradient black glass bottle that allows you to see the amount of product left, while providing enough protection agains light exposure, thus helping to maintain the beneficial effects of the active ingredients in the serum. When opened, it comes with a dropper that enables great control over the dispensing of the product, a feature that I really enjoy. I tend to prefer droppers as compared to pumps, as I get a little heavy handed sometimes and waste tons of product which breaks my heart. This enables me to control the number of drops per application, and a little goes a long way. The serum is really lightweight in texture and gets absorbed into the skin in a matter of seconds. No exaggeration here. I usually take 2-3 drops, smear it slightly between my palms and pat it onto the skin. In less than 5 seconds, my skin absorbs it all and there is no tacky residue left behind whosoever. Pretty darn amazing. After that, I'll just continue with my usual moisturiser and off to bed I go. Olive : I'm not sure what olive means but I am going to assume it is olive extract which helps in skin conditioning. Looking at the ingredient list, I am extremely pleased as it is jam packed with beneficial ingredients and there are no unknown ingredients that I could not find any information about or ingredients that are bad or sensitising to the skin. As it is packed with tons of hydrating and nourishing ingredients, I was recommended to use this every 2-3 days as it could be too rich for the skin, resulting in clogged pores or breakouts. However, after testing it for about 2 weeks, I decided to up the ante and use it every night. I know, I could be digging my own grave. Or I could be on my way to discovering a holy grail. After using 2 drops every night for about 1.5 weeks, I found my skin to be hydrated and brighter. Whenever I wake up in the morning and look in the mirror, I'll be pretty darn pleased with how my skin is looking. You know those days you look in the mirror and be like, "dayuuummm girl"? Yeah, I get those. I used this every night after I got fractional laser, and this serum really does help to add hydration to my extremely dry skin without irritating or clogging it. This is truly becoming a holy grail serum of mine. Do note that I have dehydrated skin, thus this may be the reason as to why I can break the rules and use it nightly. But since then, I noticed that my skin has been looking more plump due to the added hydration, and less dull looking. Of course, I would recommend you to stick to the usage instructions until you feel comfortable about the texture and what is does to your skin. 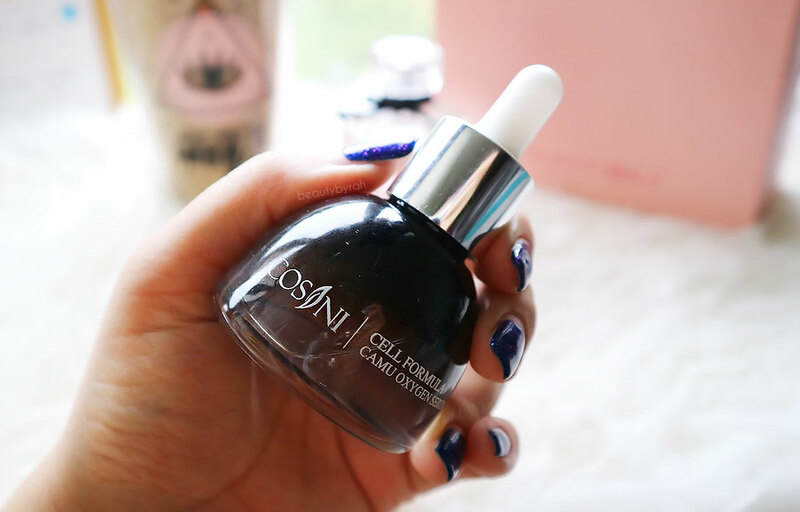 Overall, I am definitely in favour of this serum as it really does add moisture to the skin. As I have only been using it for about a month, that is all of the effects that I can attest to. This, in my opinion, is a great addition to any skincare routine for dry or dehydrated skin. The amount of antioxidants present in this little jar is astounding as well. As for the other claims, my fine lines are pretty negligible (for now), so I am not the best candidate to comment about its effectiveness for that concern. With regards to the minimisation of dark spots (which I have a ton of to test on, so no worries), I will keep using this and update here if I do see anything worth mentioning. 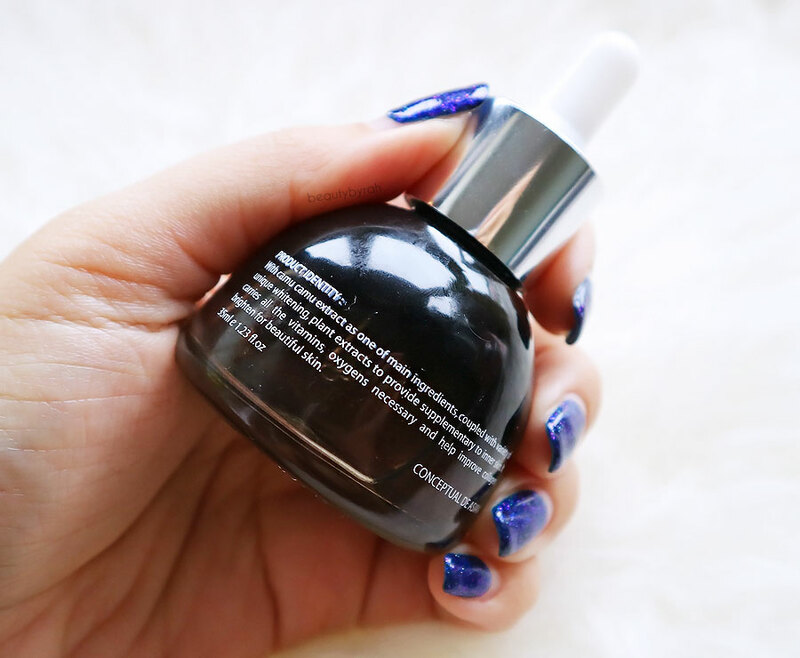 This serum retails for SGD 77.60 and can be bought off the Beautix.co website here. ** This post was sponsored by Beautix.co. Only my true and honest opinion and experience are shared here, without influence from others or the brand.